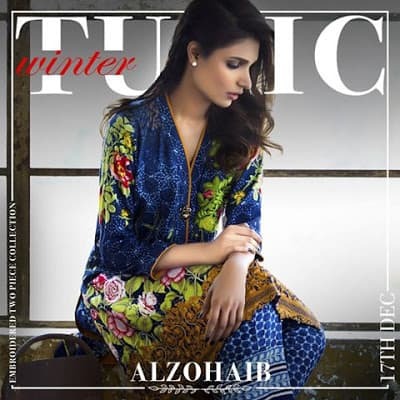 Here you can look beautiful and attractive readymade Pakistani designer suits boutique clothes online shopping UK. These designer dresses are special craft according to latest fashion styles. Black velvet outfit with embroidery on front with pearl buttons on the neckline. Included is a black chiffon shawl with pink ribbon finishing’s. Available with black raw silk trousers or cigarette trousers. Blue velvet jacket with diamante embroidery on shoulder line and sleeves. Included is blue raw silk inner shirt. Also included is a blue chiffon shawl with gold lace finishing’s. Available with blue jamavaar cigarette trousers. Pink silk cotton net outfit with pear and diamante embroidery and jamavaar finishing’s on hemline. Included is a fuchsia chiffon shawl with pearl hanging’s. Available with fuchsia polyester raw silk trousers or cigarette trousers. Navy broachia net outfit with pearl and diamante embroidery on long neckline with diamante buttons. Included is a navy chiffon shawl with gold lace finishing’s. Available with blue jamavaar trousers or cigarette trousers. Purple chiffon outfit with pearl and diamante embroidery on neckline with sequinned embroidered panels and gold lace finishing’s on hemline. Included is a purple georgette inner shirt. Also included is a purple chiffon shawl with gold lace finishing’s. Available with purple georgette trousers or cigarette trousers. Plum chiffon gown with fully embroidered back and sleeves with diamante embroidery on neckline. Included is a plum georgette inner shirt. Included is a plum chiffon shawl with gold lace finishing’s. Available with plum jamavaar trousers or cigarette trousers. Beige net cape with embroidery on front and back with pearl hangings. The inner shirt is beige raw silk with stitch styling and silver lace finishing’s on hemline and sleeves. Available with beige Jamavaar cigarette trousers, trousers, shalwaar or lehnga. Please note that jamavaar and net pattern may vary from given image. Peach net jacket with thread and diamante embroidery. The inner shirt is peach shimmer chiffon. Included is a peach net shawl with diamante and pearls and silver lace finishing’s. Available with peach Jamavaar gharara or lehnga. Black chiffon outfit with pearl and diamante embroidery on the neckline with embroidery on back, sleeves and hemline.Included is a black chiffon shawl with pearl and diamantes and gold lace finishing’s. Available with black Jamavaar cigarette trousers, trousers, salwaar or lehnga. Please note that jamavaar pattern may vary from given image. 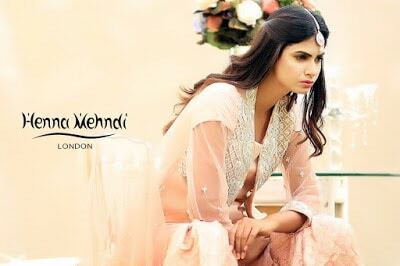 Cream chiffon outfit with pearl and diamante embroidery on the neckline with embroidery on back, sleeves and hemline. 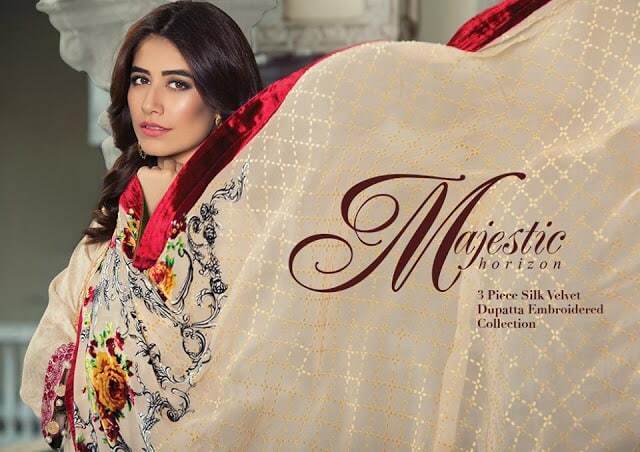 Included is a cream chiffon shawl with pearl and diamantes and gold lace finishing’s. Available with cream Jamavaar cigarette trousers, trousers, salwaar or lehnga. Please note that jamavaar pattern may vary from given image.